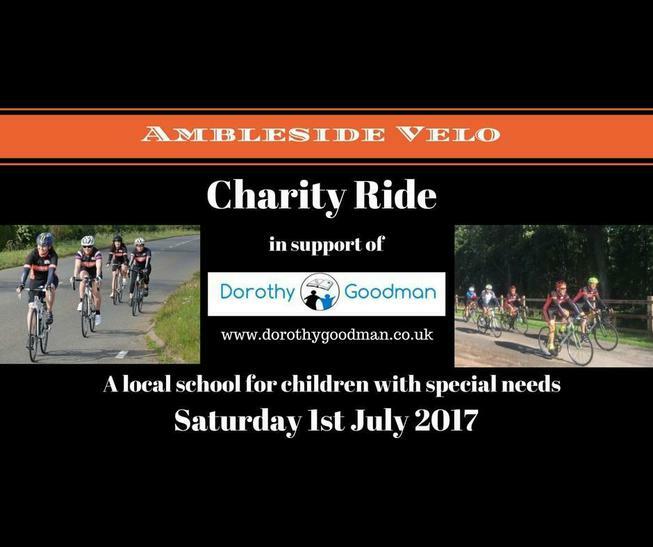 Ambleside Velo, based in Nuneaton, are fast approaching the date for their charity bike ride and are in need of volunteers for marshalling/helping out with making and serving refreshments. They are also looking for 2 volunteers to drive the routes and fix the signage - either on the Friday 30th June or on the day of the ride before the rides start (you will be re-imbursed for any fuel used). If you are interested please contact Liam Deacy at Dorothy Goodman School.